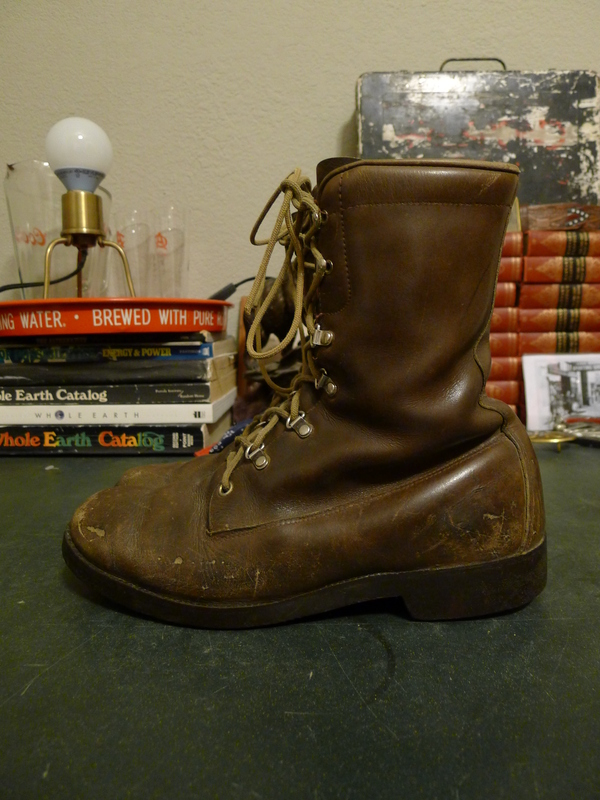 Very cool old boots, unfortunately I don’t know who made ’em. 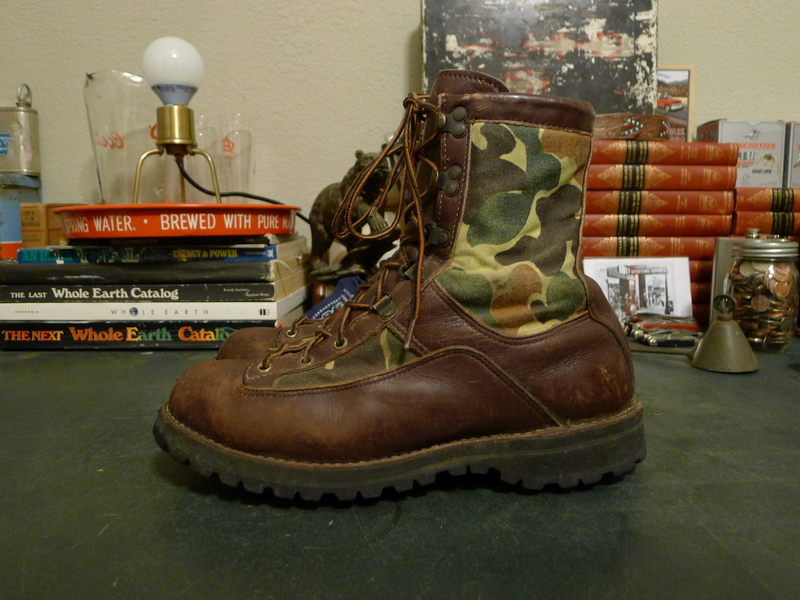 Quality on par with any Danner or Red Wing make or model. 7.5 in high shaft. Unique vamp construction minimizes seems. Eyelet and hook lace up. 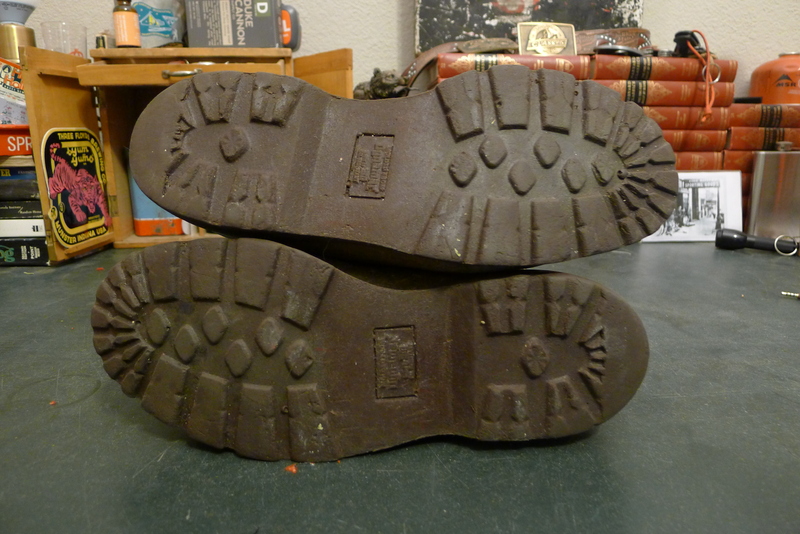 Goodyear lugged soles the America equivalent of Vibram. 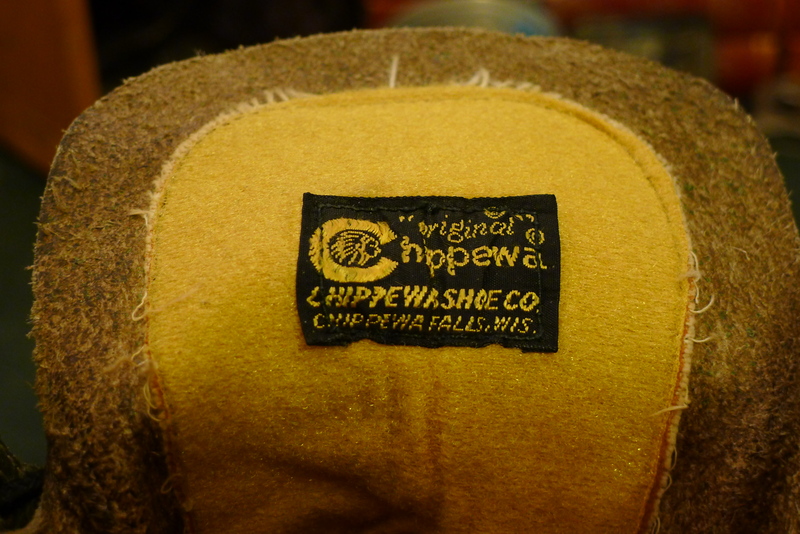 Lined uppers and thick felted wool insoles suggest they were intended for colder weather use. 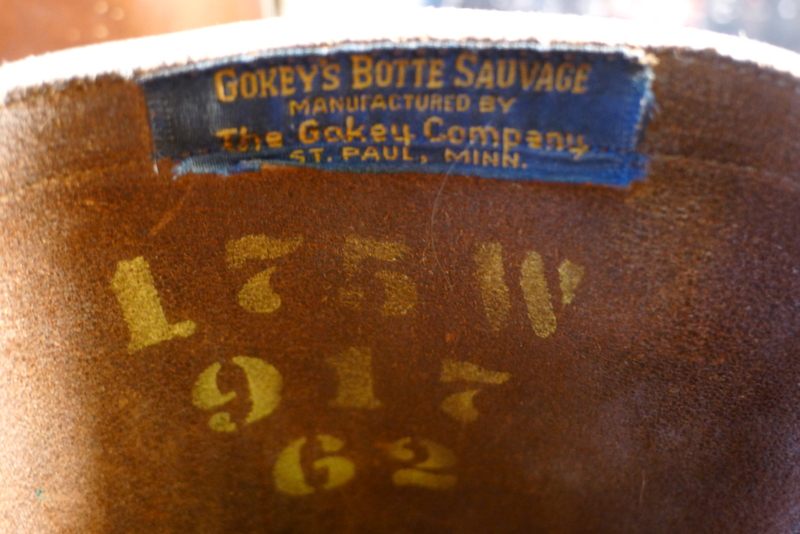 Looking at a vintage pair of Gokey Botte Sauvage Snake Proof Hunting boots. 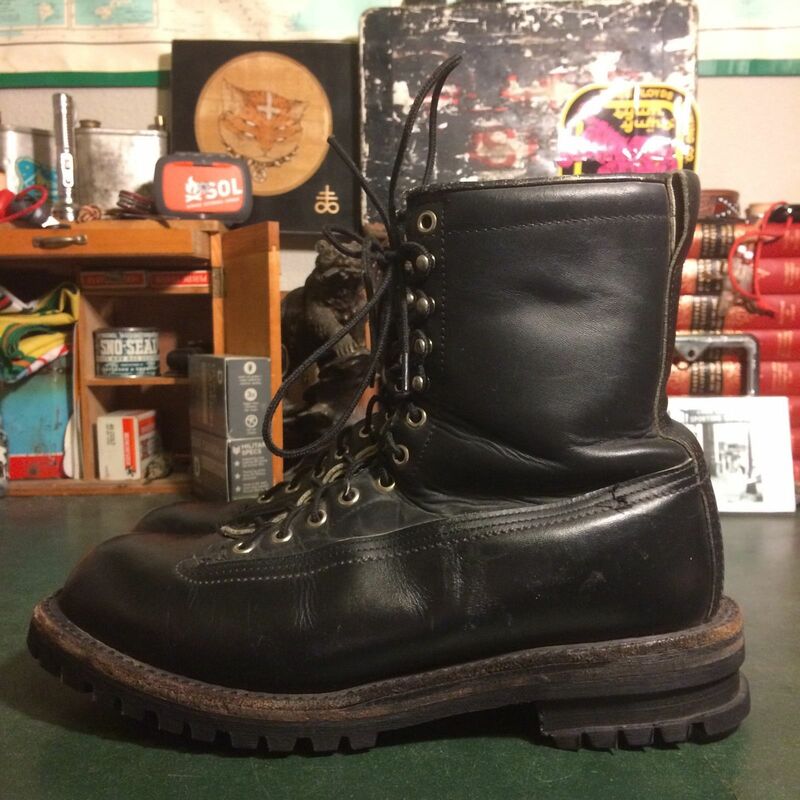 These boots probably date from the 50s or 60s and are based (as the name suggests) on a style of French Trapper boot popular in the north-east and great lakes area. 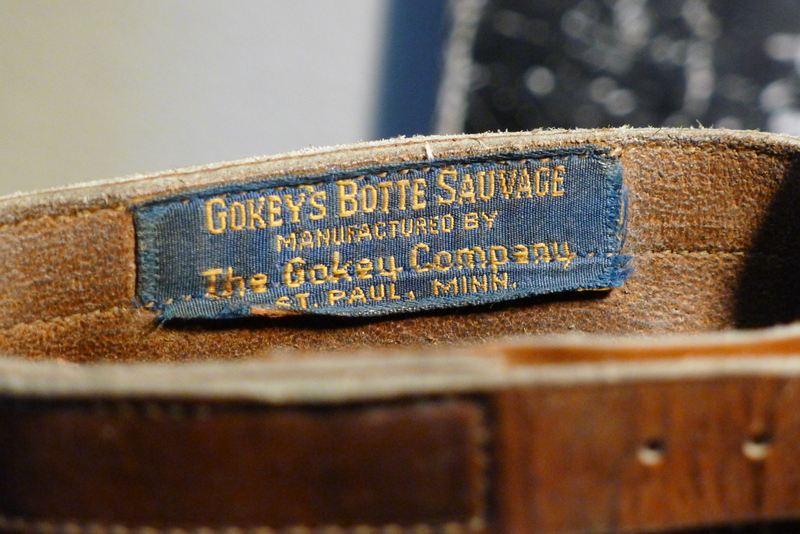 The Gokey company produced this same boot for outfitter’s Abercrombie & Fitch in the early mid-1900s. 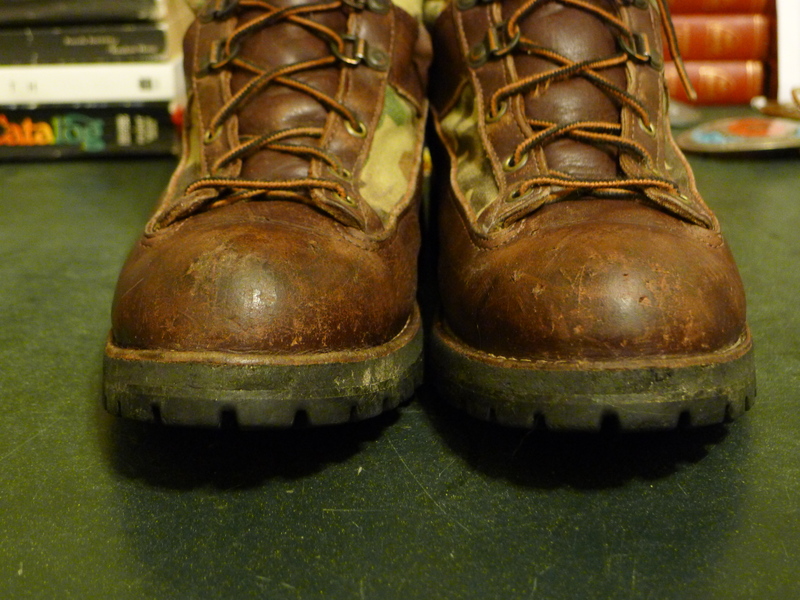 Their boots and bags of legendary quality and the standard for the worldly adventurer of the day. 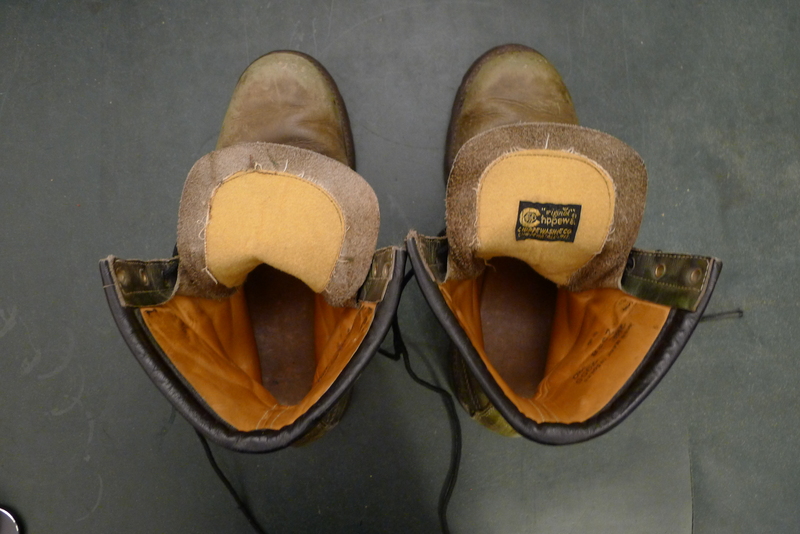 The boots are of relatively simple construction of high quality materials. 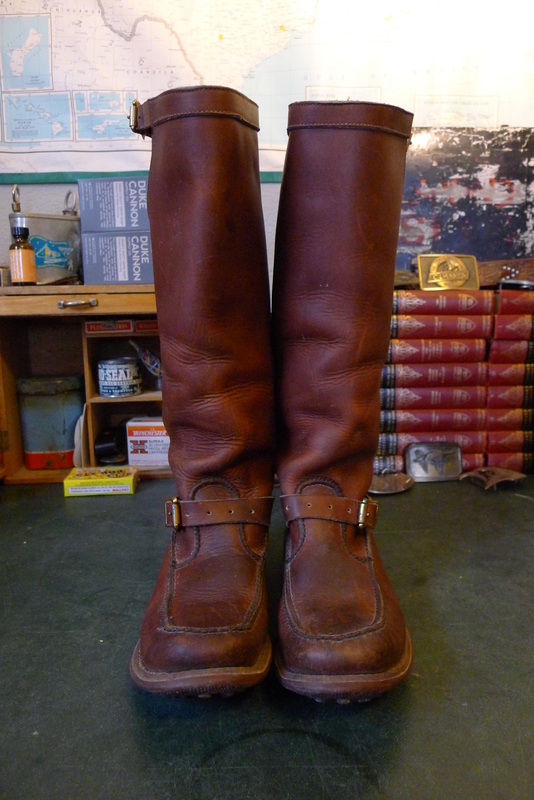 In the realm of boots crafted in Minnesota they’re somewhere between Red Wings and Minnetonka’s. 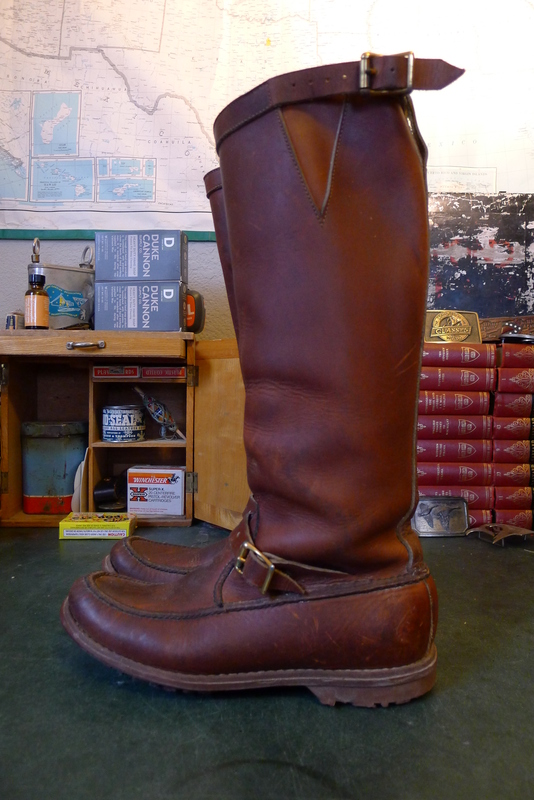 The 15″ tall boots are constructed of thick, quality leather. 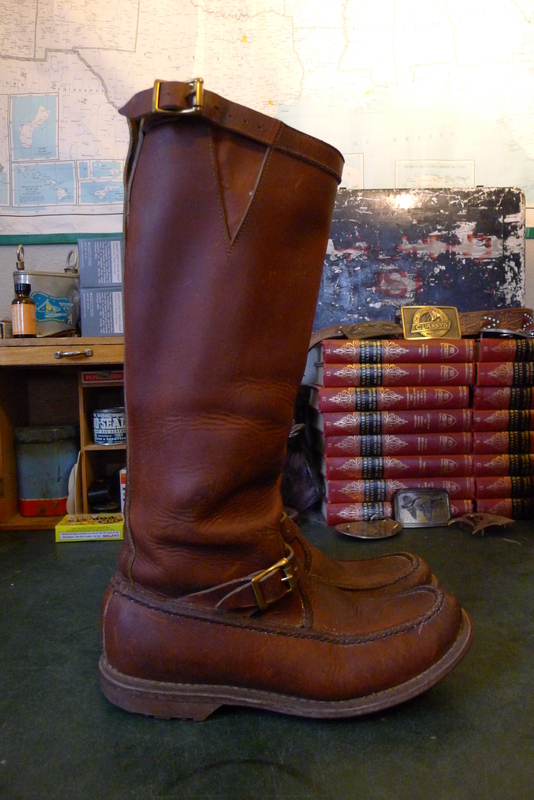 Anchor brand brass buckles at the top and ankle give them an almost engineer feel, but with the moccasin style toe. 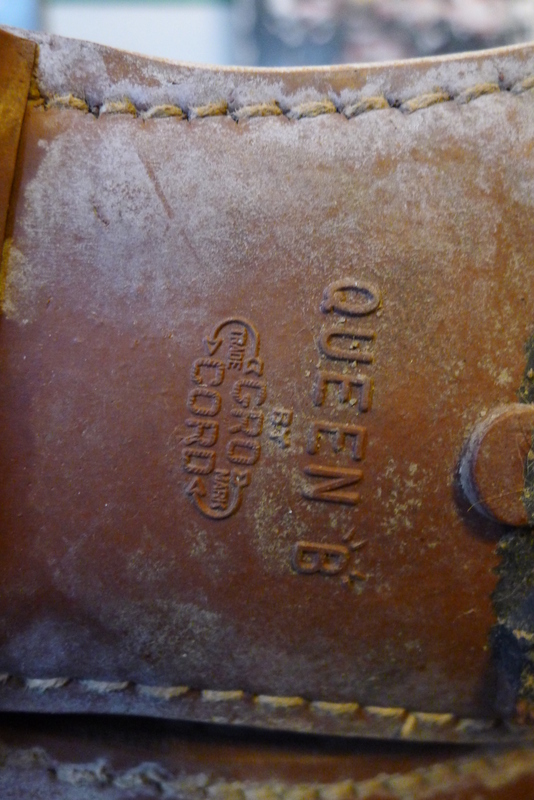 This bot features Queen B soles by Gro-Cord, but from looking at other such boots it appears the choice of sole changed throughout the years. 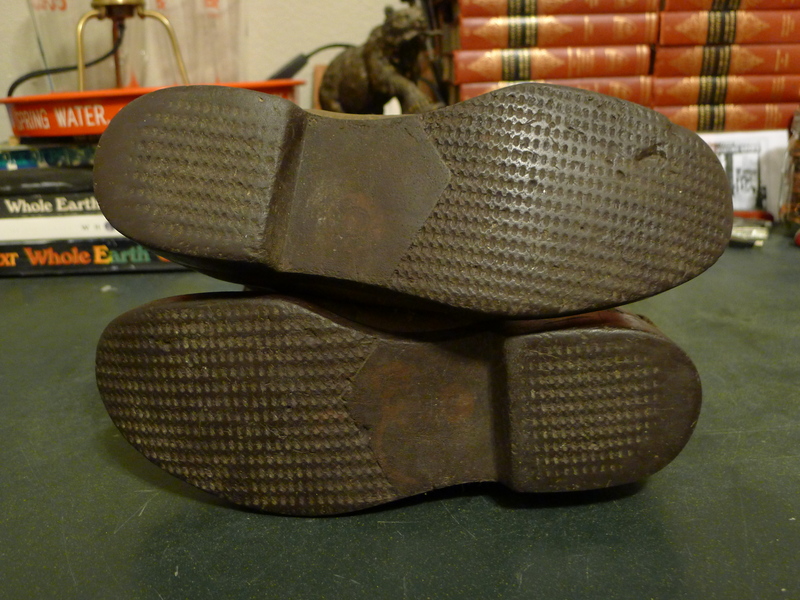 The black fore soles are ingrained with pieces of rope or hemp for additional traction. 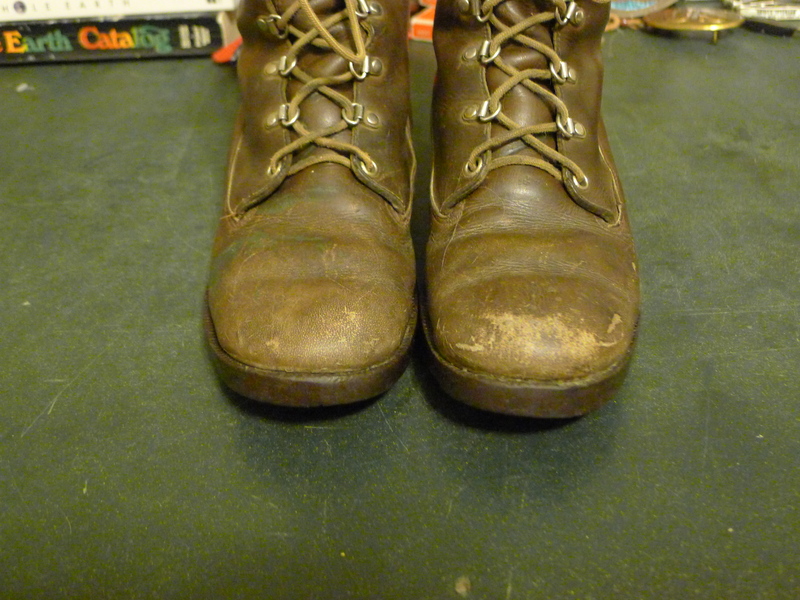 I have been researching the markings inside the boots but an unable to make definite sense of them at this time. My best judgement, these are size 7.5 men’s 9 women’s? 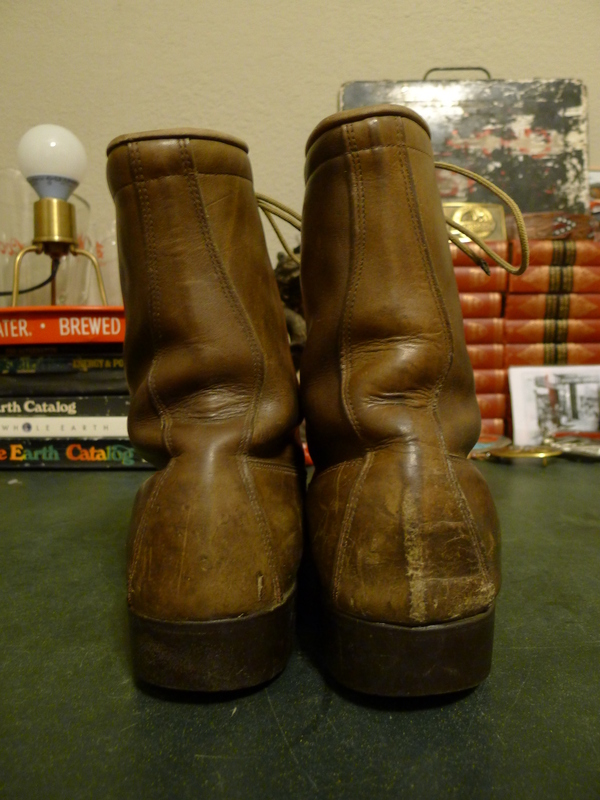 I should also note the shaft on these boots is long and narrow, not for the person with a big calf and would require some ankle flexibility to get in to. 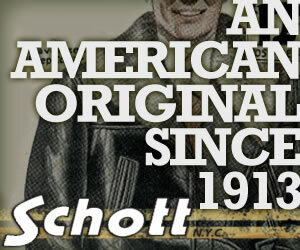 Newer models offer a side zip after many requests I’m sure. 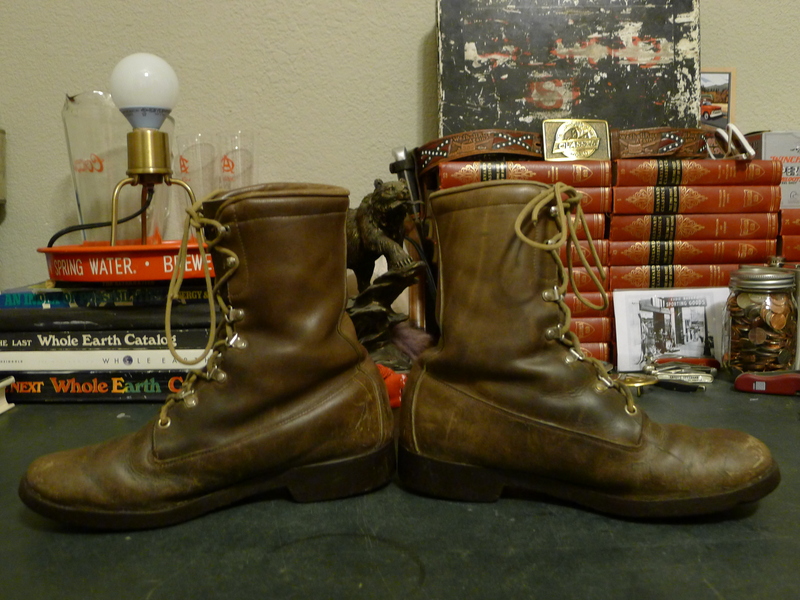 Neat pair of old black label Chippewa boots. 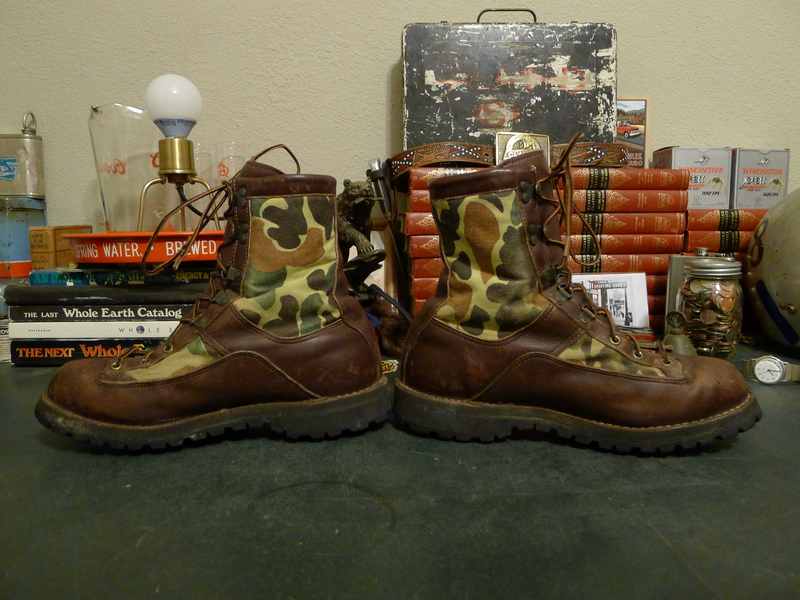 The style is a 8″ round-toe hunting type boot. 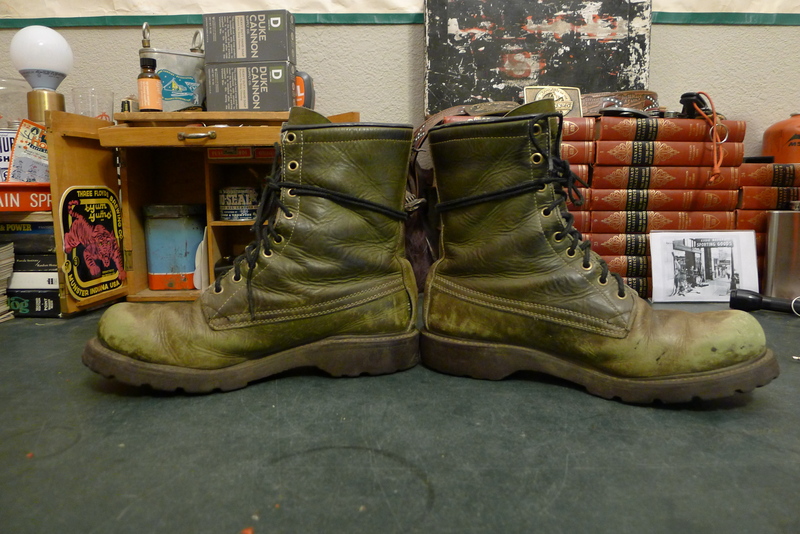 What makes these special is the olive green leather. 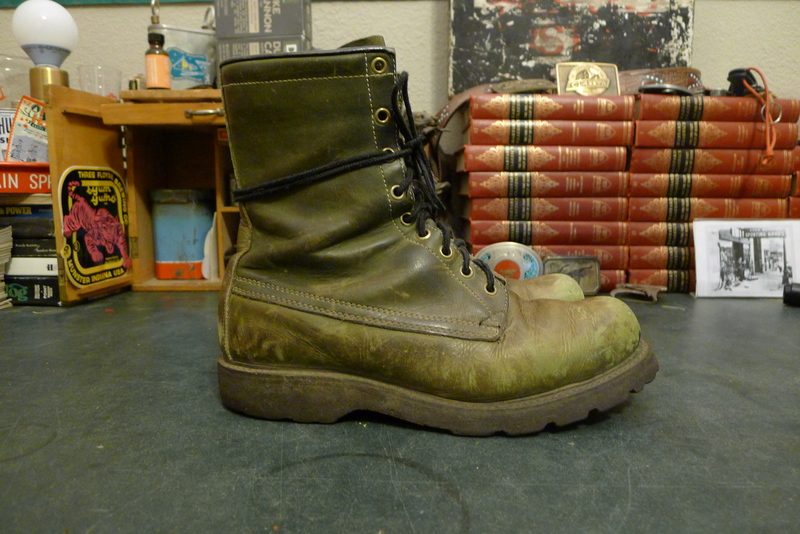 Green leather was an option on boots makes and models from this time period, but you find green par is far less. 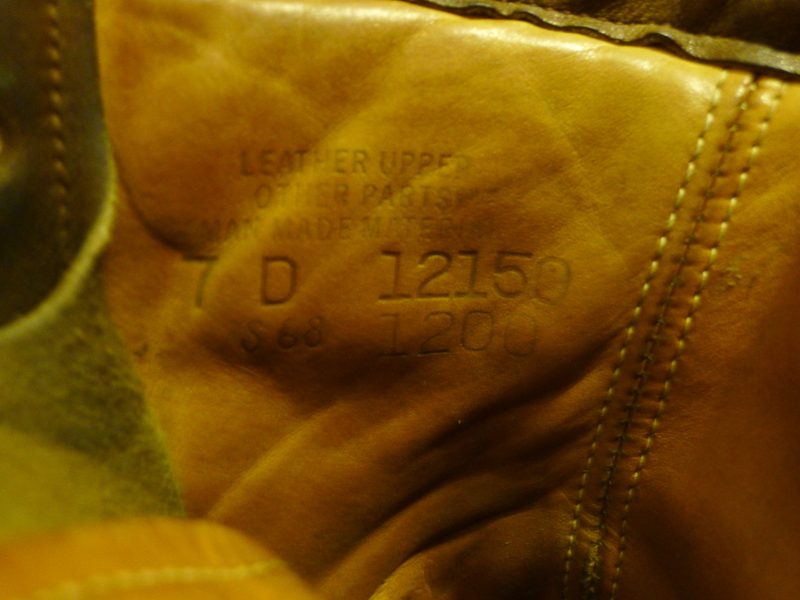 The leather is died through therefore scuffs are a lighter shade of green instead of brown. 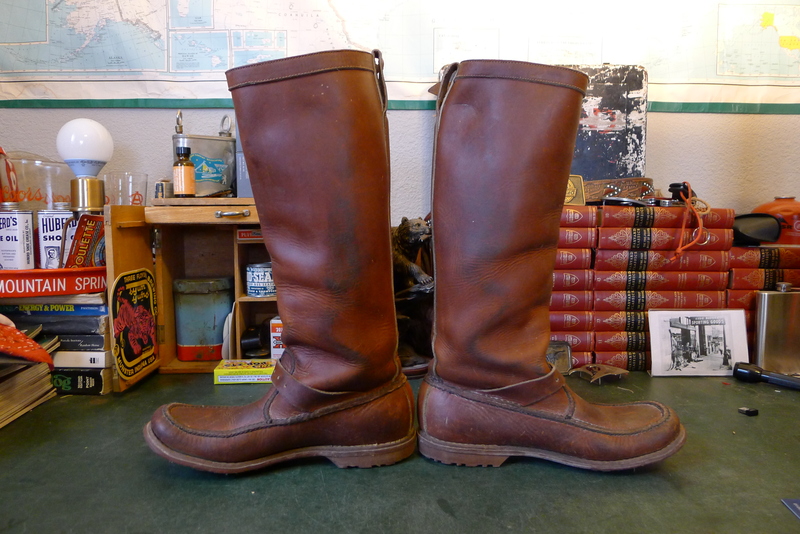 The boots are lined inside with brown leather, but are not insulated. The back of the tongues are lined in a gold cotton blend material. 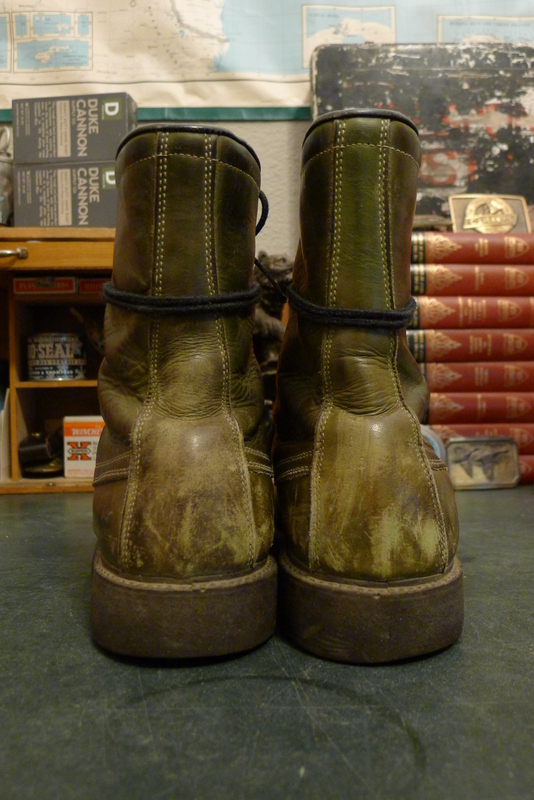 These boots also feature a darker olive Dynamar crepe type sole. 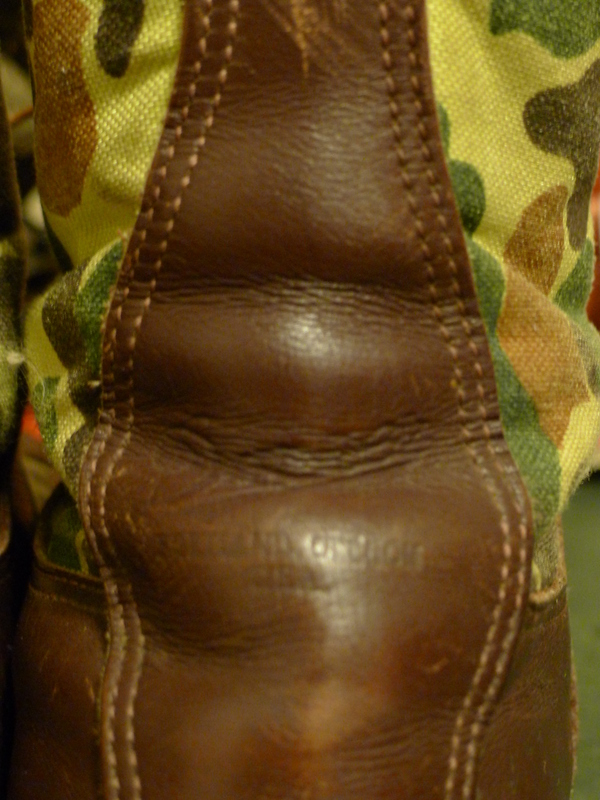 The boot feathers the embroidered black label in the right boot only. 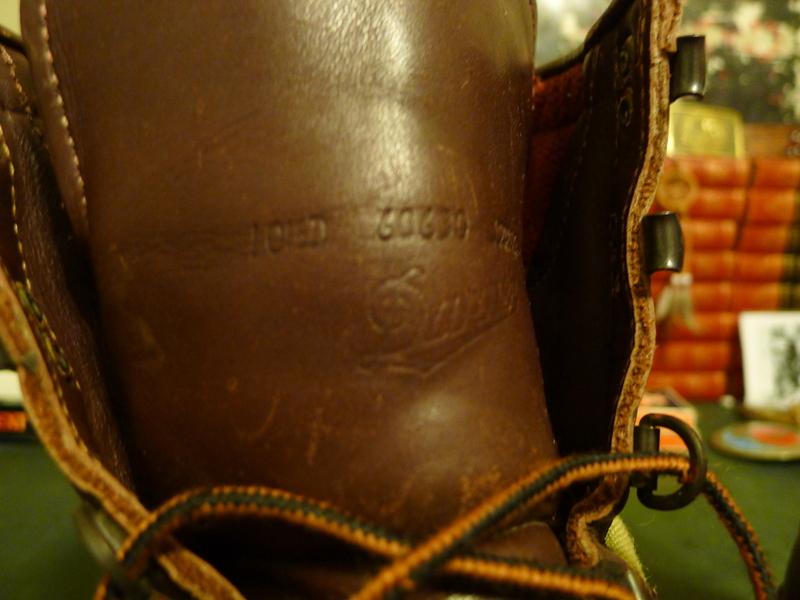 The embroidered label predates the screened and dates these boots back to the 1960s. 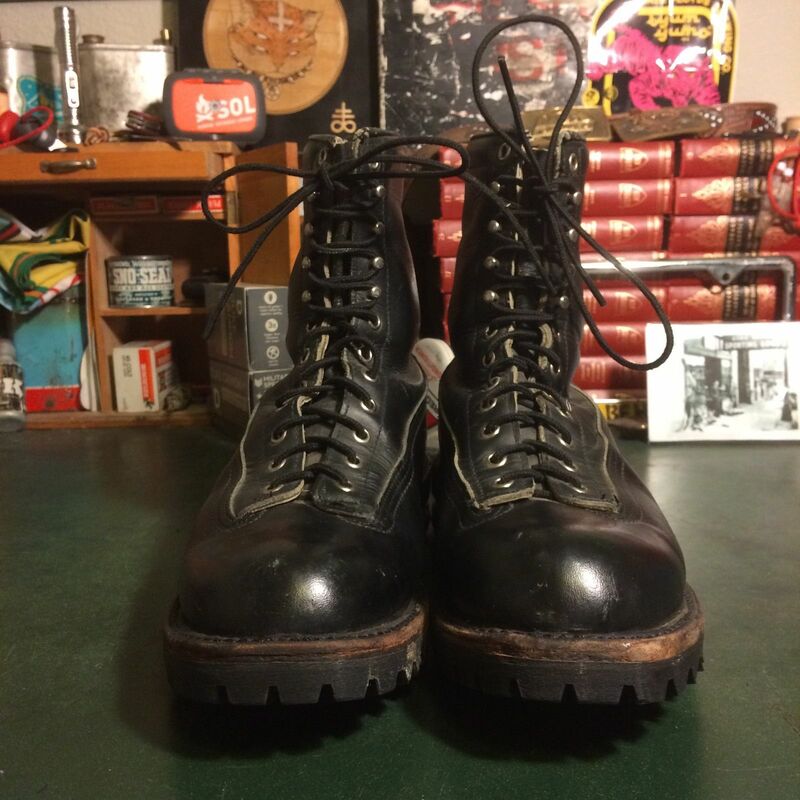 This is a pair of Red Wing 9″ hunting boots marked 04130. 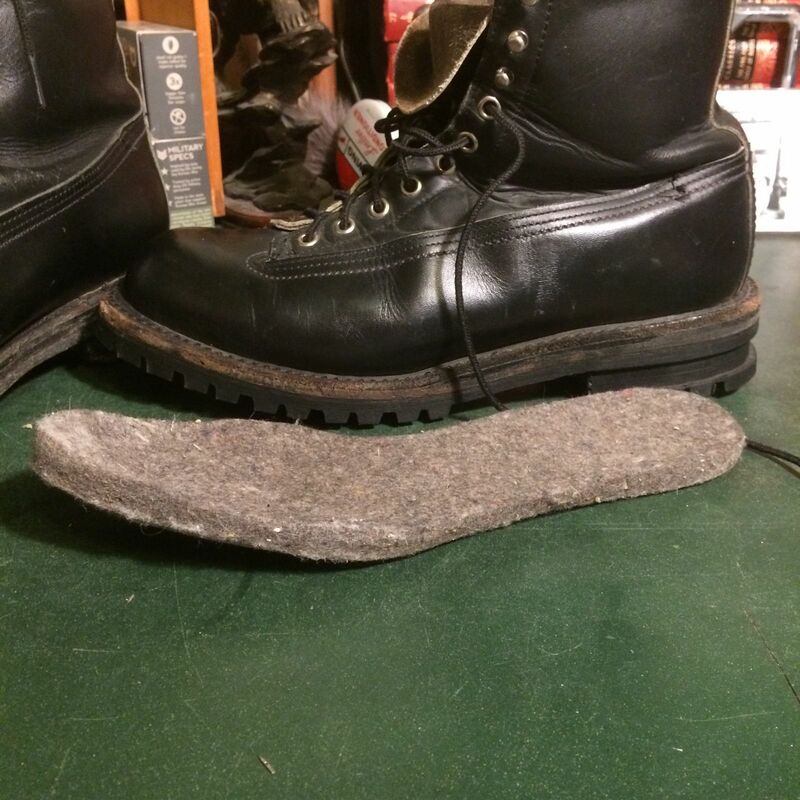 The boot is similar to the 877 but has a different vamp construction and most likely predates that model. 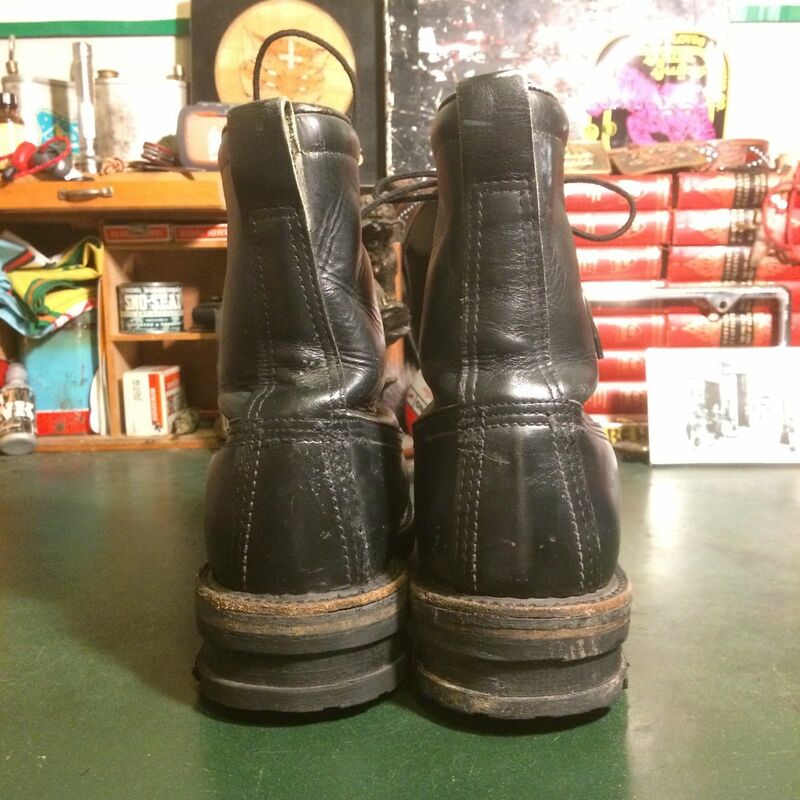 The boots date from the late 50s or 60s as denoted by the black label in the right boot. 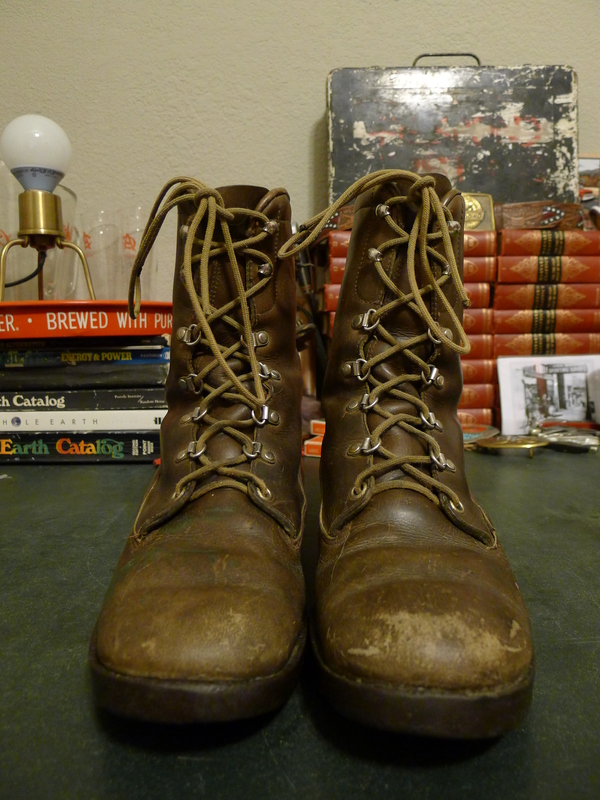 Lace-up is achieved via 12 eyelets and the boots are currently outfitted with leather laces which don’t look quite old enough to be original. 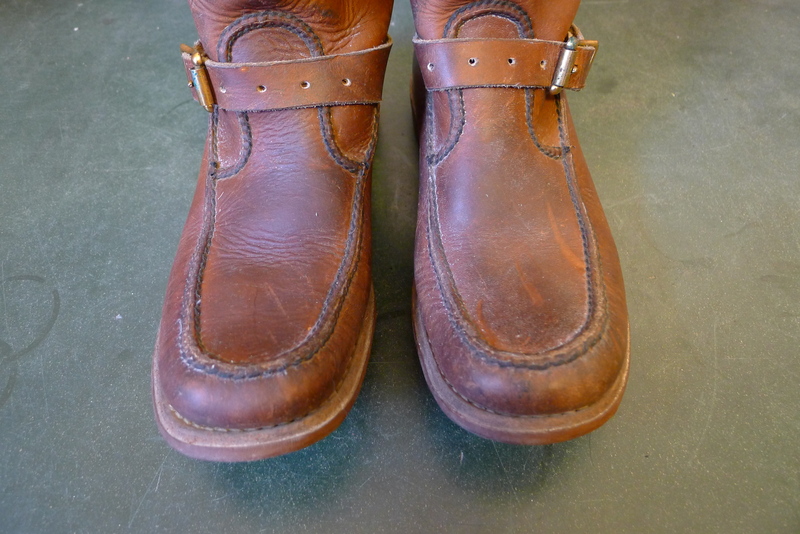 The Du-Flex Cush-N-Crepe soles look period correct. 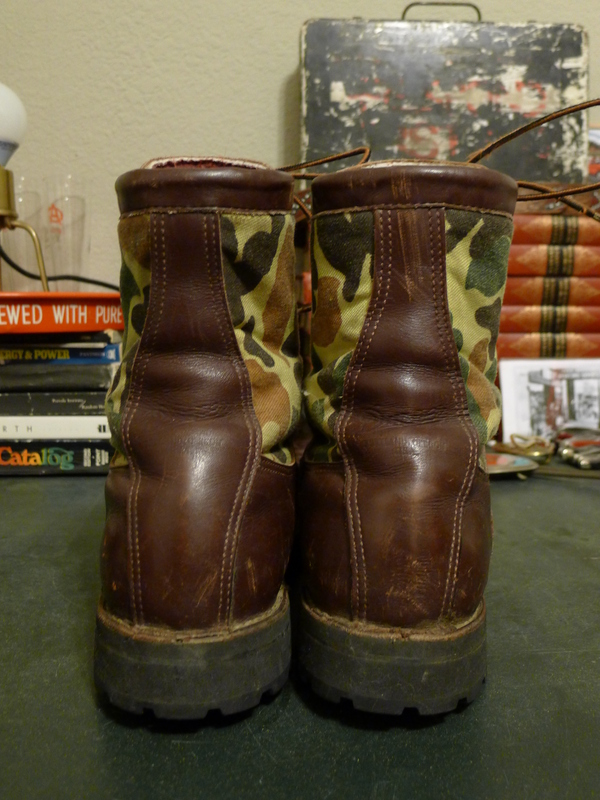 Inside, the boots are fully lined with red and black buffalo check flannel. Yes, even the foot-bed is lined. The flannel feels like wool or a wool blend. 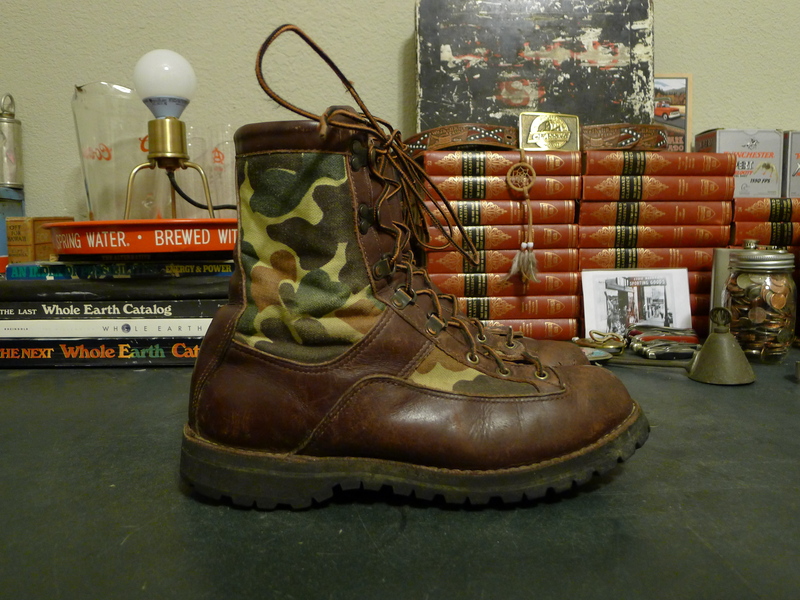 Seen here is a great pair of older Danner insulated and Gore-Tex lined hunting boots. 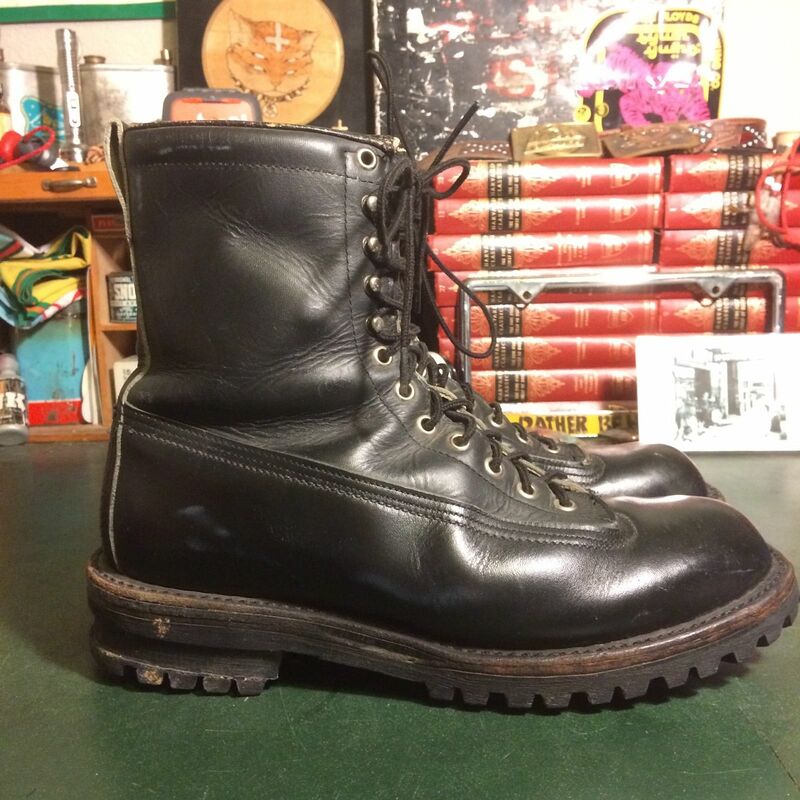 Tongue stamped 60630, a style number no longer in production, but the styling is very similar to what’s known now as the Sierra GTX, Style 63100. 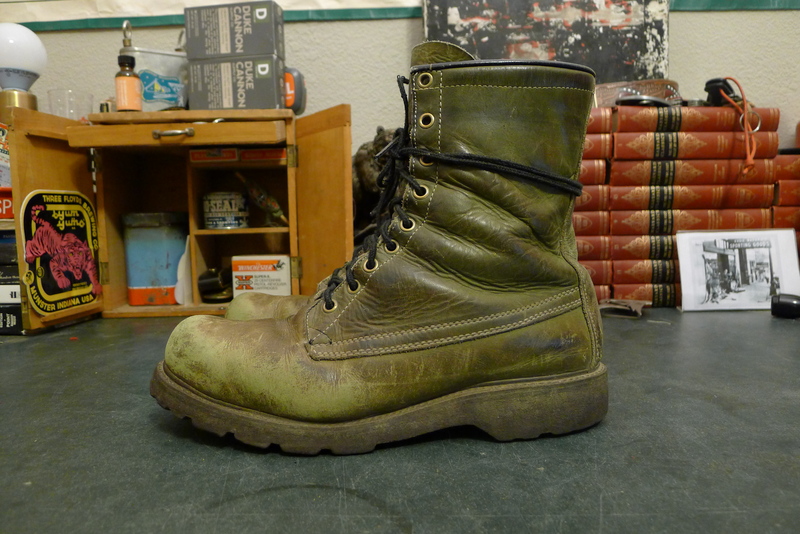 The boot consists of a multi panel leather and Cordura upper. 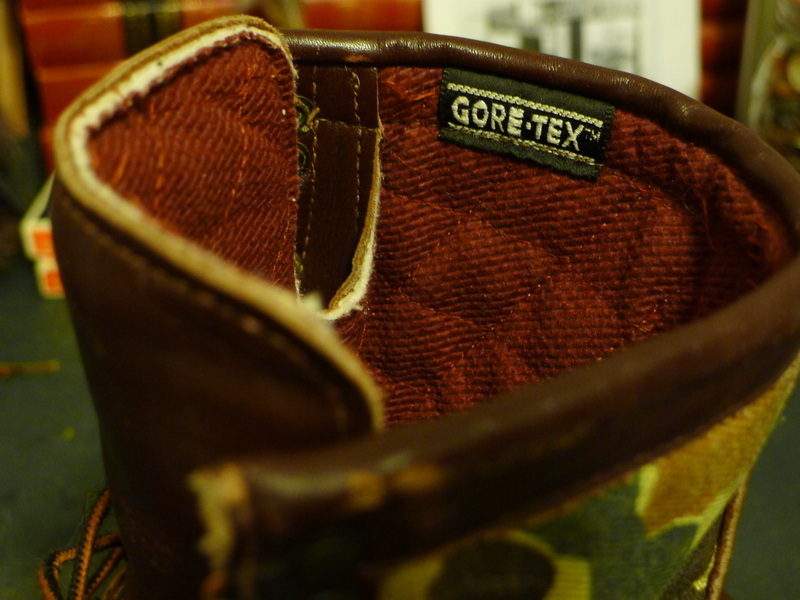 Fully attached tongue construction along with the Gore-Tex lining ensure the elements stay locked out. 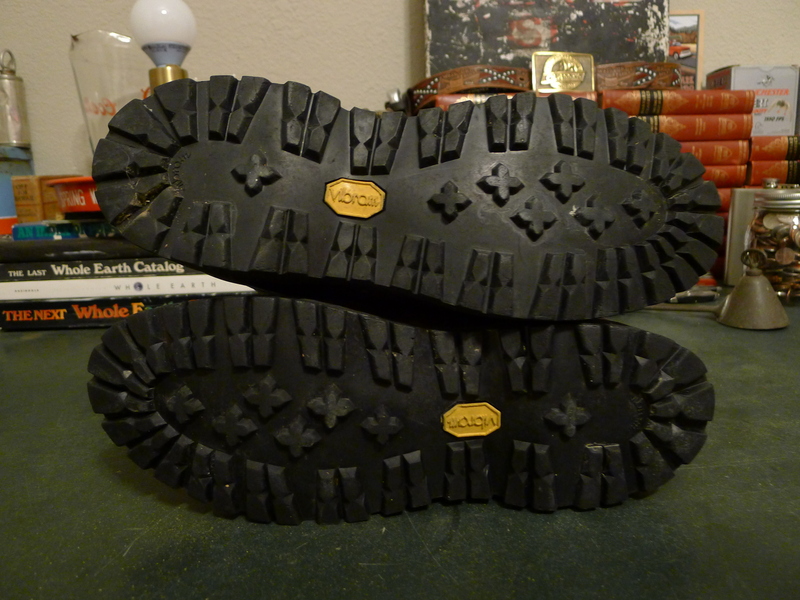 A light quilted insulation on the interior makes these a good boot for almost any season. 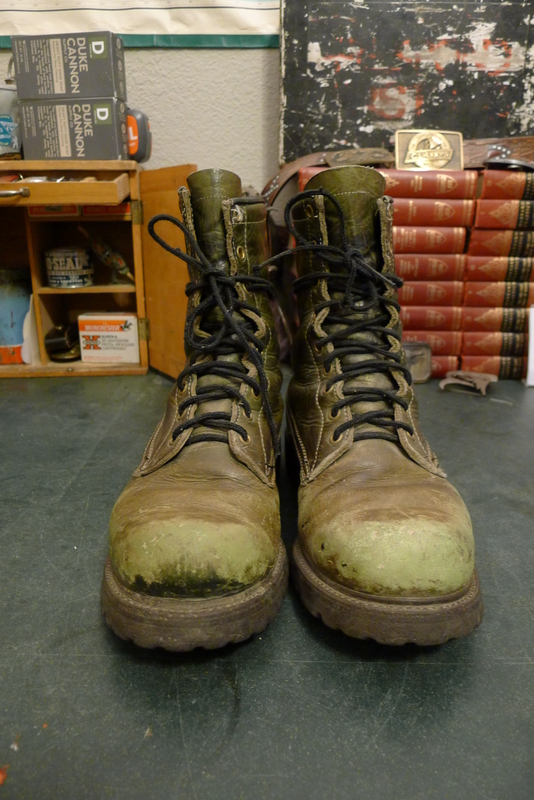 Old style duck camo on the Cordura works well in the field or on the streets. 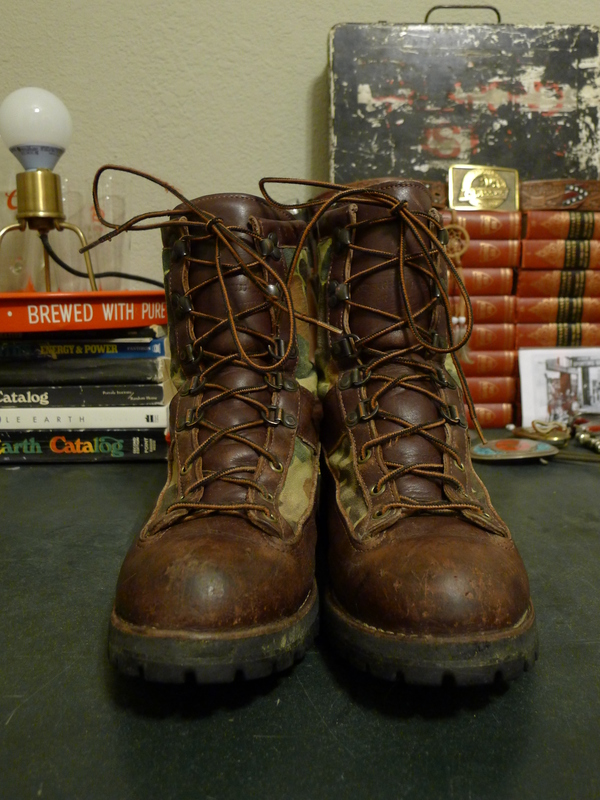 In fact, Danner has recently collaborated with modern-american outfitter, Ball and Buck on a very similar, updated version. 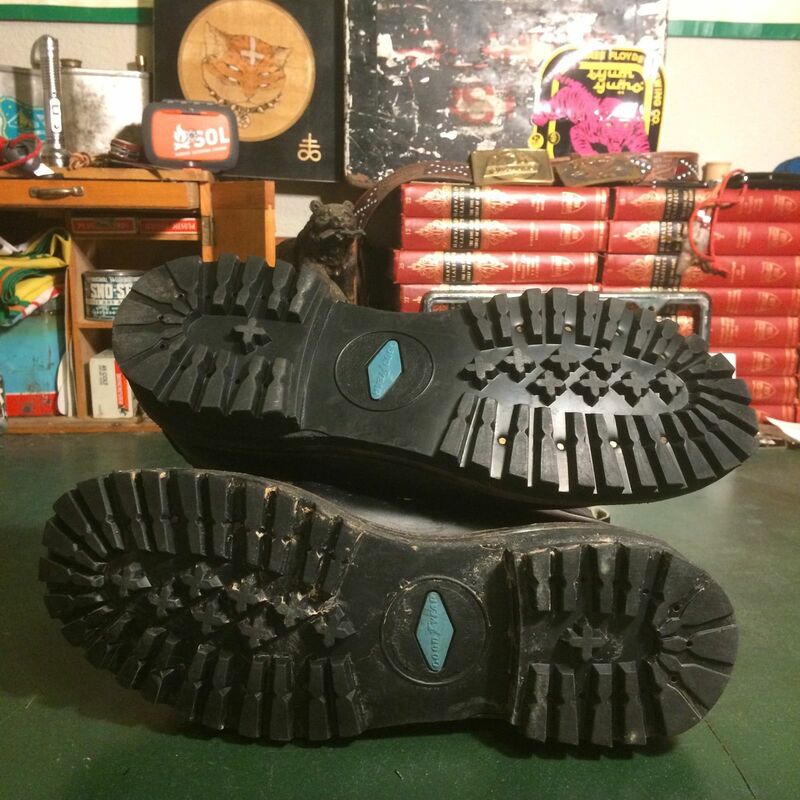 Other details include an 8″ shaft height, Vibram soles, 8-eye lace up consisting of eyelets, D rings and hooks. 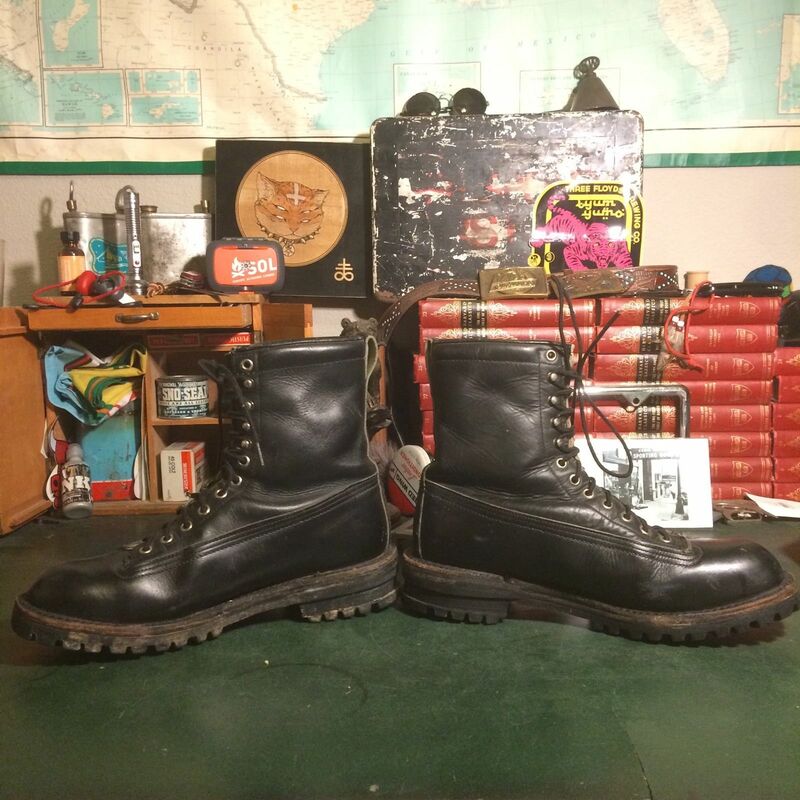 These boots, marked 27022, are seemingly rare and I have found no further information on them. 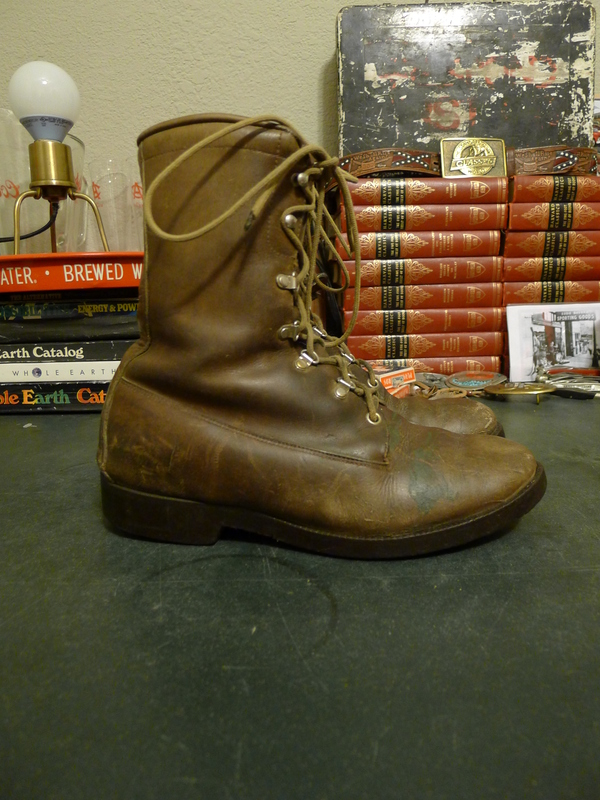 They are a 5″ high, four eyelet, three loop lace-up with steel toe and one inch heel. 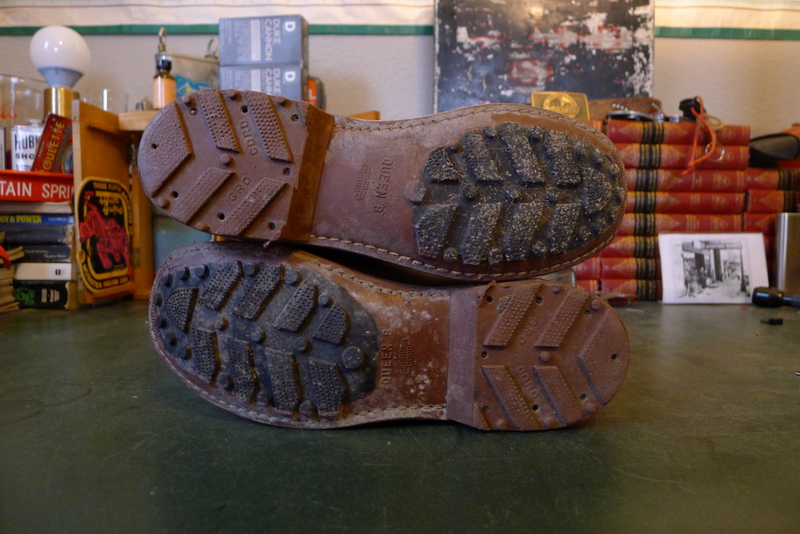 The soles are a gum composite stamped Red Wing on both sole and heel with a tread pattern made of tiny Red Wing logos. 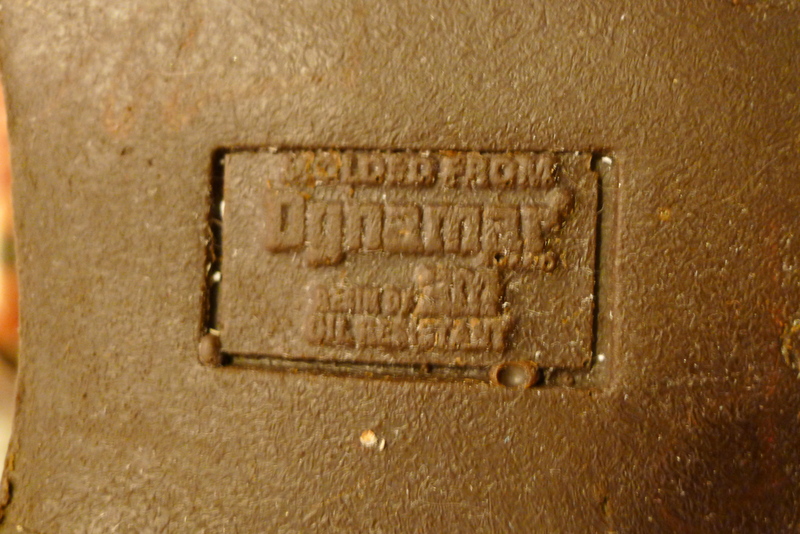 All markings are contained on the inside ankle of the boot and not on the tongue. 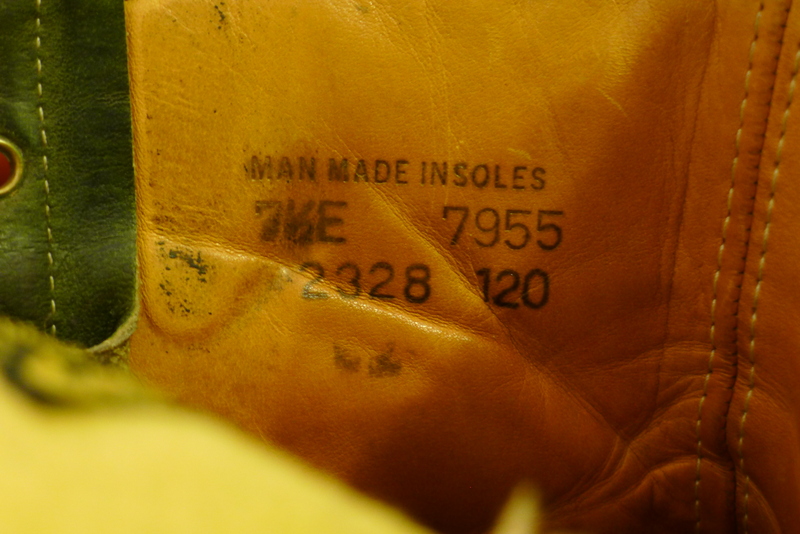 The single label on the inside of the boot suggests they may be from the 60s or 70s, though the look of this pair out dates that. 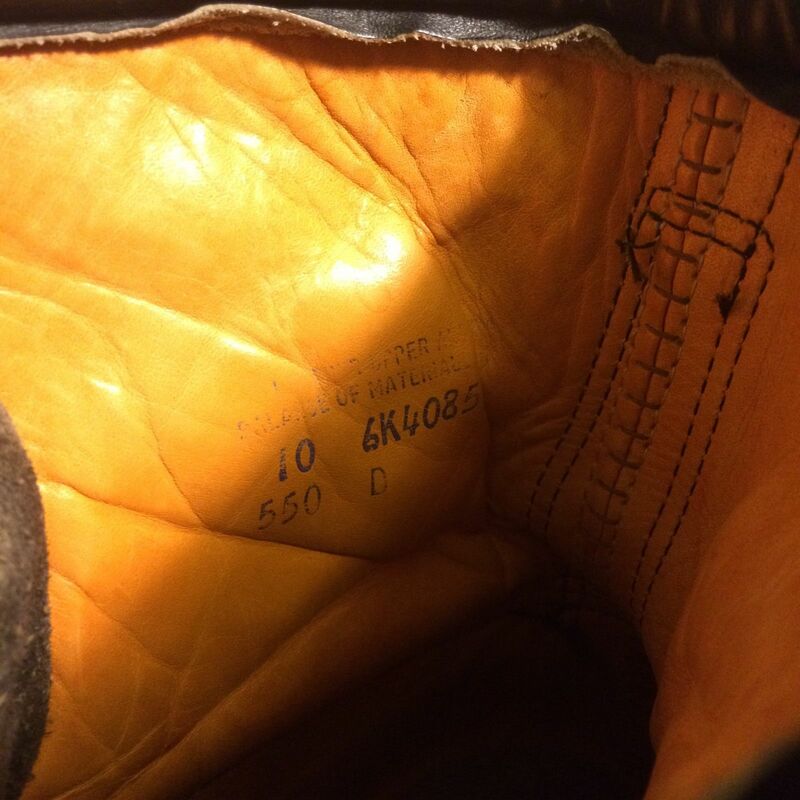 The welt is a rubber, “storm” type around the front and leather around the heel. 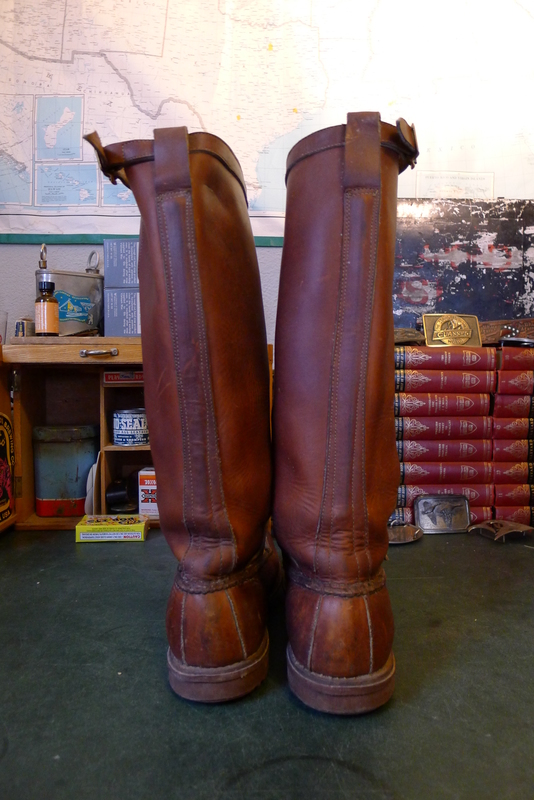 These are the boots of which heritage lines are made. Currently available on the BCV eBay Store..